Brazil is certainly the flavour at the moment and Anh Do has filmed another of his travel specials for Seven. The special is the fourth travelogue he has made, following sojourns in Vietnam, Britain and Scandinavia. The Daily Telegraph reports it will air next month, along with Anh Does Iceland, which was pulled from the schedule earlier this year. From Rio to the Amazon and Salvador to São Paulo, Anh brings us his unique take on thepeople, cuisine, customs and culture of modern-day Brazil in two brand new television specials, premiering next month on Seven. As always, Anh throws himself into the action and this adventure could be his craziest yet. The self-confessed “bad dancer” finds himself shaking his groove thing on top of a Carnival float in front of 200,000 people. In the Amazon jungle, he wrestles a five metre anaconda and goes fishing for the deadly piranha. Anh tries the indigenous sport of rock surfing, goes on a muster with cowboys and lends a hand to rescue endangered baby turtles. He talks to the locals preserving their diverse culture and protecting nature under threat. But it’s meeting children learning classical music in a dangerous favela that brings the Aussie funnyman to tears. 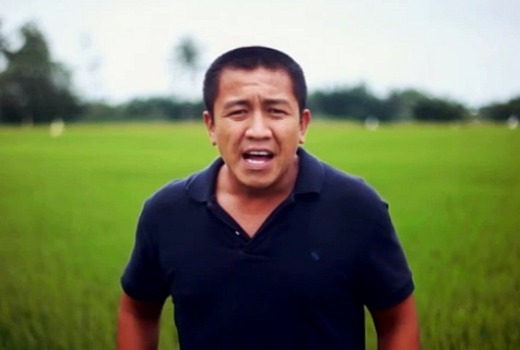 Anh Does Brazil is the latest in a series of Anh Do specials produced in-house by Seven Productions. Paul Melville is Director and Executive Producer. For this show to really do well 7 need to show it on a Sunday or Monday at 7:30pm. Thursdays just isn’t the night for it.